Available Colors: White, Lime Green, Blue, Yellow, Black or Red. Customized 9.5" Flying Discus - Large Customized Flyers Item #HT-707 (Minimum Order: 100). 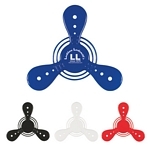 Promotional Customized Frisbee Flyers can be personalized with your business logo. Our Promotional Frisbee Flyers are decorated with No Setup Fees. 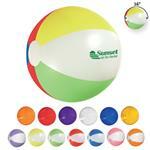 Customized 16" Advertising Beach Ball Item #HT-750 is Promotional with your business logo for advertising to clients. Customized 16" Advertising Beach Ball and other Promotional Beach Balls are decorated with No Setup Fees. 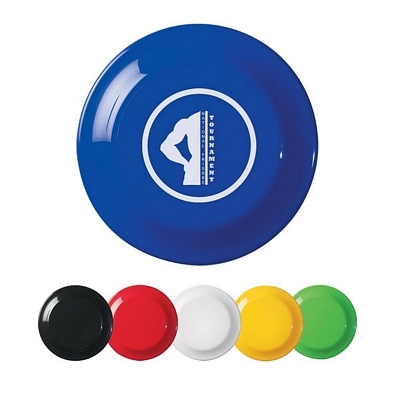 Customized Saturn 7" Flying Disk Item #HT-753 is Promotional with your business logo for advertising to clients. Customized Saturn 7" Flying Disk and other Promotional Flyers are decorated with No Setup Fees. Customized Sassy Retractable Pen Item #HT-728 (Minimum Order: 250). 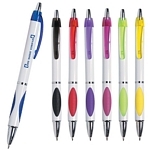 Promotional Pens like the Sassy Retractable Pen can be personalized with your business logo and with No Setup Fees. 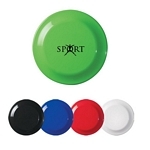 Customized 5" Discus - Customized Mini Flyers Item #HT-727 (Minimum Order: 100). Promotional Frisbee Flyers like the 5" Discus - Customized Mini Flyers can be personalized with your business logo and with No Setup Fees.